Here is one for you. The William King who was on Indian Woods was actually a grandson of a BOONE. There were also a lot of other Kings on the Rez intermarried with Pugh, Williams, Thompson, Blunt, etc. and had family that lived on Bennett’s creek on the border of the Chowanoke Res. You can find their cousins on every Native community in NC and even the Cheroenhaka. Do you have the parents of Patt Boone? I believe I do. My Boones intermarried with King, Bass, and many other names you seem to be studying. Hi Thomas, I have not seen any records to point me in the direction of who Patt Boone’s parents were. If you have found something and willing to share research, I’d definitely appreciate it. I got this off Sally’s Family place. Daughter mentioned of Jacob Boone named Patty (Patt) of North Hampton (formed from Bertie Co.) descendants of Thomas Boone and Elizabeth Strickland. His brother-in-law Matthew Strickland Jr. Is married to a Braswell and I am descended from both of them. I believe this may be the Patt you talk about. All my Boones ended up in Bertie, specifically Indian Woods, and associated with the Pugh and King families of the Indian Woods, and Johnston Co. I am Tuscarora of the Indian Woods and live in Texas. Kianga, I just found your site. Thank you for making this information available here. I have been researching some of the people you mention in your blog. This sentence in the above post “James Brown lived near the fork of the Cashie River, close to the Harrell family that frequently appears in the Bertie County records.” and his location on the map caught my eye as I have been working on placing this James Brown with land close to the Harrells. On your map you have them near “the fork of the Cashie River” closer to Windsor. However, if you look at a map of Bertie County, the headwaters of the the Cashie are further north in the Roxobel/Kelford area. See map link below. Where these upper branches of the Cashie fork below Kelford is the fork of the Cashie being referred to in the James Brown and Harrell deeds. This James Brown was the son of Thomas Brown who died in 1718 and named a wife Christian Brown in his will. This area is about the same distance from the Indian Woods area you discuss in the this post, just towards the Kelford area rather than the Windsor area. Thank you for this well researched blog. I look forward to reading more it! Hello Cousin Kianga. superb research. Amazing that I was born only 5 miles from Indian Woods. My Moore ancestor left his family in Bertie County and moved into the “Cumbo” Community up river in Northampton County and married a Walden/Jones/ Guy descendant, basically just up the river on the Roanoke. Anyway, that presentation was so very informative/revealing. I read it very carefully. The ‘Hicks” surname was one, that I heard mentioned by my “Manley” grandmother as cousins. This, presentation on these people around Indian Woods might be the first time in a while that I have seen that ‘Hicks” surname associated with this community of Indigenous people of NC. I am familiar with the Pughs, Boones, Mitchells, Roberts etc. 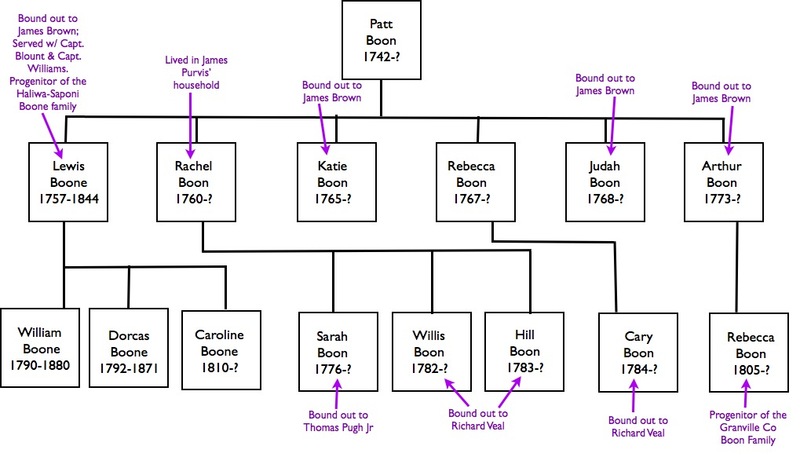 These families crossed over into Northampton and other surrounding counties as well. There is something very interesting about this James Purvis character. There is a “James Purvis” listed on the 1783 Nansemond County tax list in 1783, right beside my ancestor Thomas Collins. I have not been able to establish the link between this James Purvis and the landowner in Bertie County, however these names, Thomas Collins and James Purvis are found on Roquist Swamp in the 1740s-1770s. I have not been able to establish a genealogical link between the landowning Purvis and Collins of Bertie County and the landless laborers with the same names in the Gates County-Nansemond County border region. 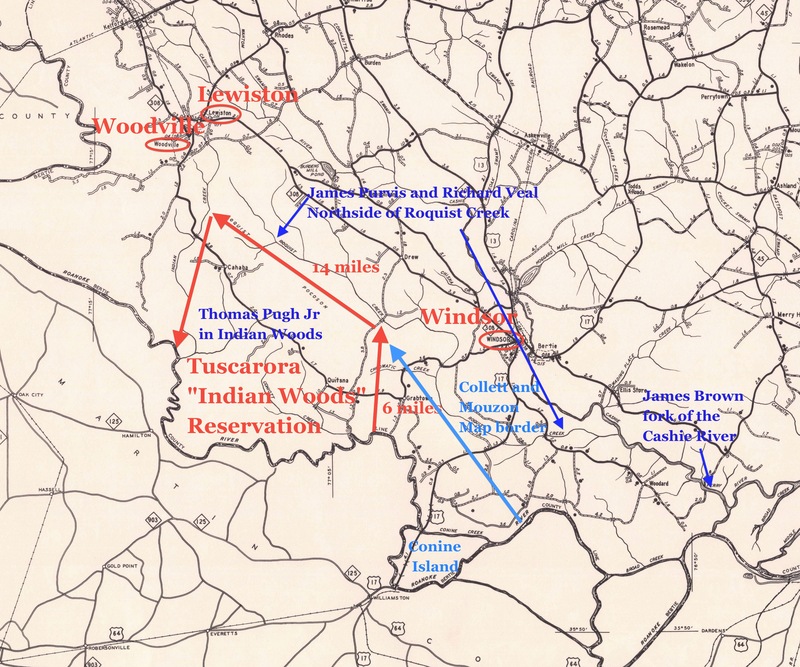 However, it may be possible that these are the same Tuscarora who moved up the Winton Road and into Virginia. 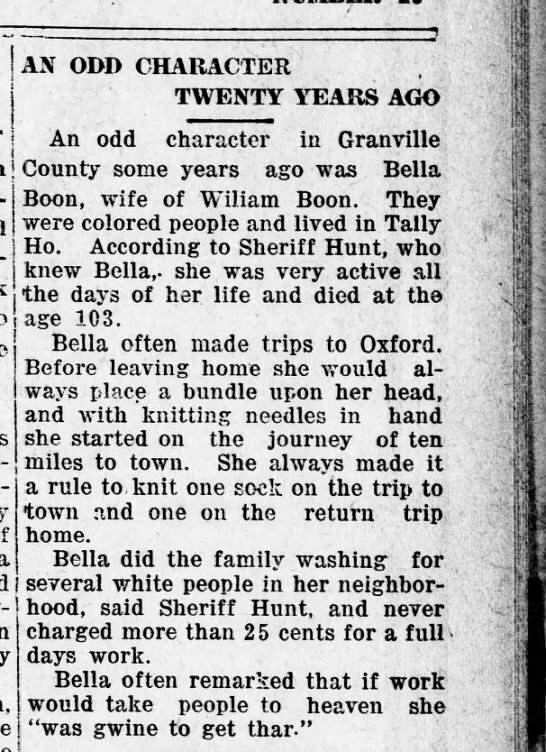 This is very interesting, but I cannot find any way of connecting my great grandmother, Creasy Boone. I have no knowledge of her except her name appears on my great grandfather’s marriage license, 1872. Lewis Hilliard/ Creasy Boone. She is also listed on my grandfather, Ned Hilliard’s marriage certificate. I’m curious if this is part of my family. 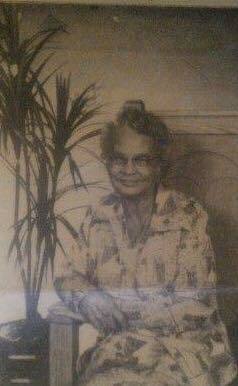 I had a free trial to ancestry.com and found a lot of my family but it stopped at Alexander Boon born around 1805 in Bertie County. He is my 5th great grandfather. He Married Rose Bunch. I cant seem to get any answers. Maybe you can help? Thanks in Advance. I am from Henry Bunch of Bertie Co. My Boone ended up moving with much of my Indian Woods families down with the Coharie, Waccamaw and even the Lumbee. Maybe you can help me find out more about my grandfather. Leonard Boone of Bertie county. I have Sara Boone, with an unknown birth date, assumed from Northampton County, who died in 12/16/1843 in Northampton County. 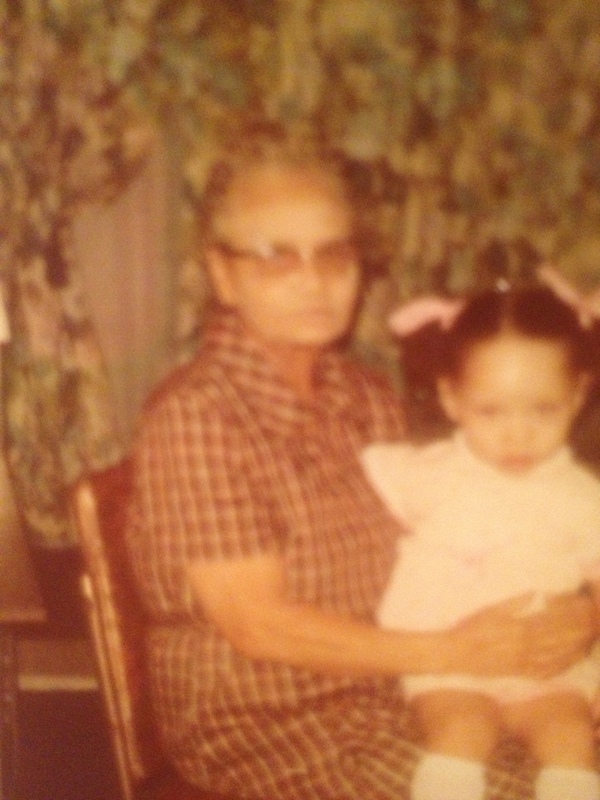 She was my 5th great grandmother. She married John Thomas Benn, of Nothampton, who died in 1839. 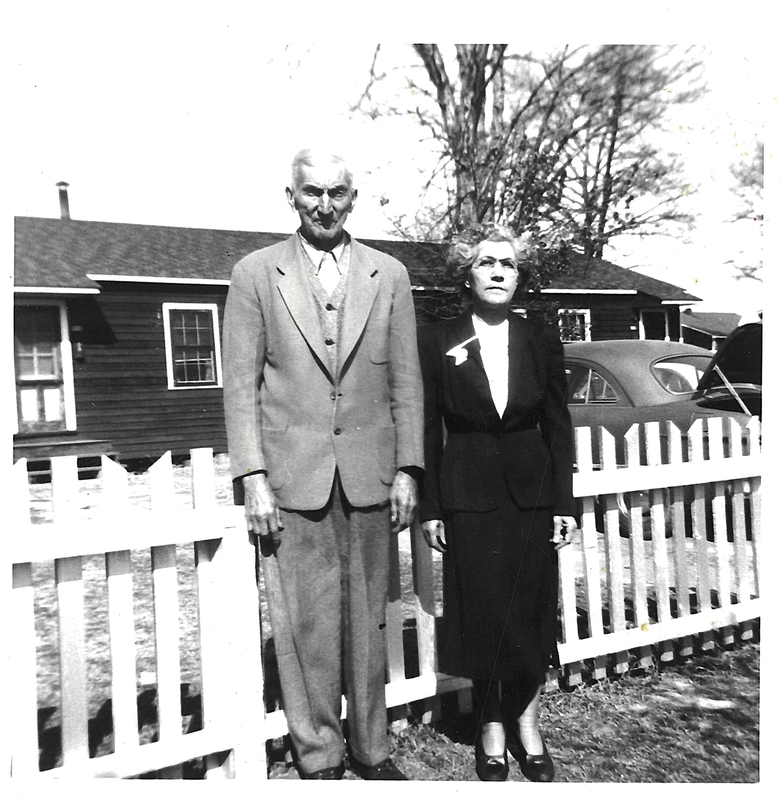 Interestingly, this couple’s grandson, James Thomas Benn (also of Northampton Cty) , married a Crews of Tar River Plantation, Tally Ho, in Granville County. I really need to study your work and see if I can make solid connections. Well done and thank you! Hello, I keep running across you’re site when typing in my family’s names! Lol I am at a dead end researching the native american side of my mother’s family, the furthest I can get is George A. Boone who married a Rosa Richardson, both from Virginia. He was born abt 1850, his father was either Daniel or Jeffery Boon(e) a tailor who I’ve only found on one census and he disappears. I can’t find marriage records or birth records on most of this family either, but they lived mostly around the Roanoke areas- Albemarle, Troutsville, Botetourt. 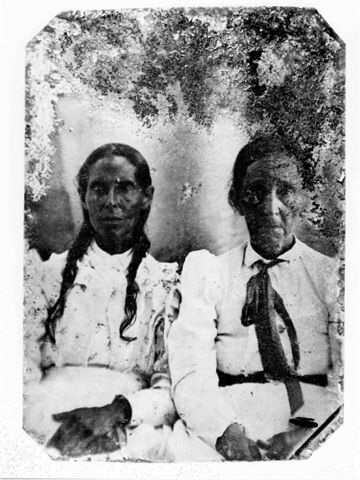 George Boone’ s mother’s maiden name was Whitehurst, and her sisters married in with a Terrell family, there’s a Virginia Pocahontas Terrell which led me to believe they nay have been associated with a Virginia tribe. If any names ring a bell I’d love to hear from you. 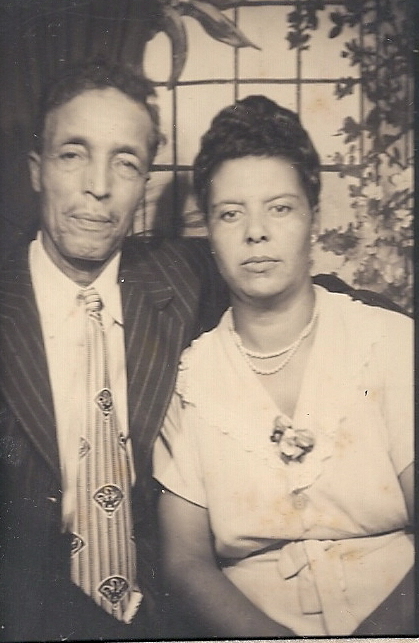 Also researching my father’s mothers side who lived in NC and may have had Tuscarora/Coharie/Lumbee ties from Sampson and Bertie: Cannon, Thornton surnames.